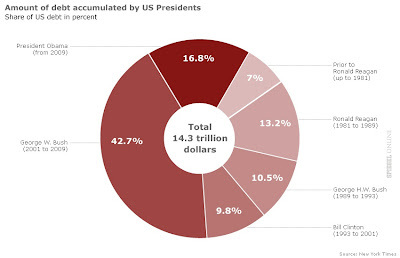 This graph from Reuters shows the Government Debt Accumulated in the United States in a bar graph. This graph from Der Spiegel shows how much of the United States national debt is accumulated by each president in a pie graph. 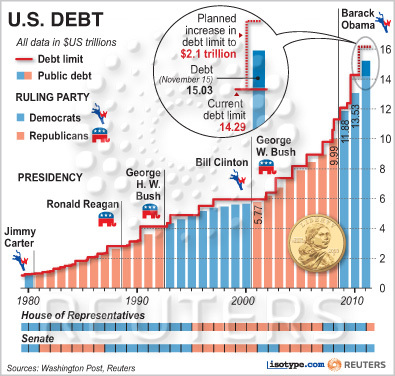 So far under president George W. Bush the most debt has been added. Der Spiegel I would have to check these figures.